TP-Link's TL-WA830RE 300Mbps Wireless N Range Extender is designed to extend the coverage and improve the signal strength of an existing wireless network to eliminate 'dead zones'. 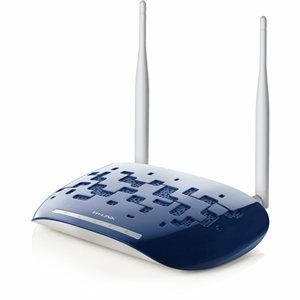 Combined with wireless N technologies, superior security and wider compatibility, TL-WA830RE offers a secure high-speed solution that vastly improves the network coverage without changing the wireless network, giving you the freedom to enjoy uninterrupted internet anywhere in your home, hotel or small office. TP-Link TL-WA830RE is designed to select Range Extender mode as the default wireless setting, working as a signal booster to relay the wireless signal and increase the distance over which a WLAN signal can spread, overcoming obstacles and enhancing overall network signal quality. It can also work at the conventional AP mode, accessing the Internet via ADSL/Cable modem and linking the wireless and wired network together. Adopting IEEE 802.11n advanced MIMO (Multi Input Multi Output) technology, TL-WA830RE simultaneously works through 2 antennas to Tx and Rx to overcome the interference and signal degradation when traveling long distances or through physical barriers in a small office or a large apartment, resulting in an improvement in the wireless performance, even in a steel-and-concrete building. Above all, you could easily pick up the wireless network during long-distance connection where legacy 11g products may not. TL-WA830RE features a Range Extender button, which allows users to set-up the wireless connection with 1 press of the button.